A city tour and river cruise in one great adventure. 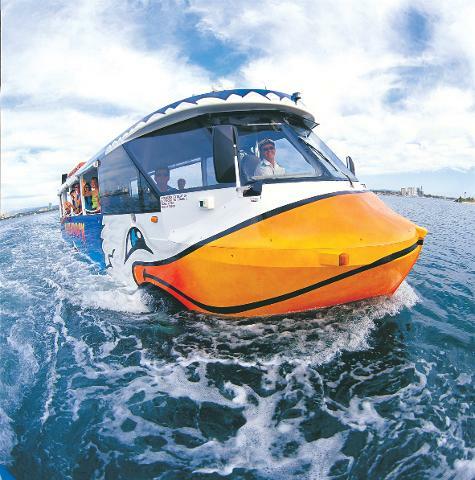 Australia’s first amphibious Aquaduck tour, commenced operations in 1996 is now a famous Gold Coast icon. 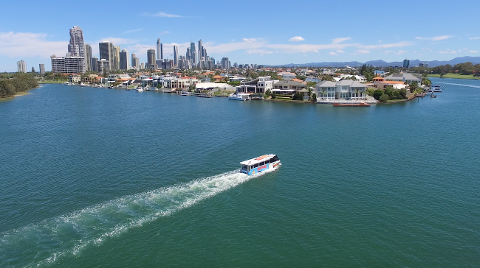 Experience the Gold Coast as you have never before! 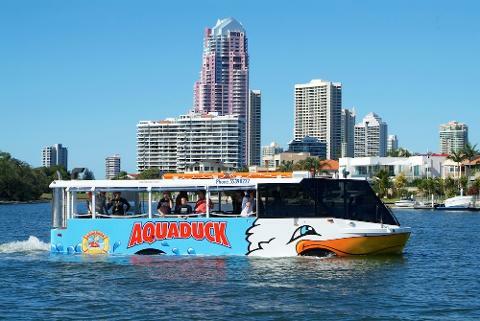 The “Ducktacular” land and water tour begins with a bit of ducking around the streets of Surfers Paradise. Followed by a waddle along the glorious Gold Coast beaches. Then up to the magnificent Palazzo Versace and Marina Mirage. 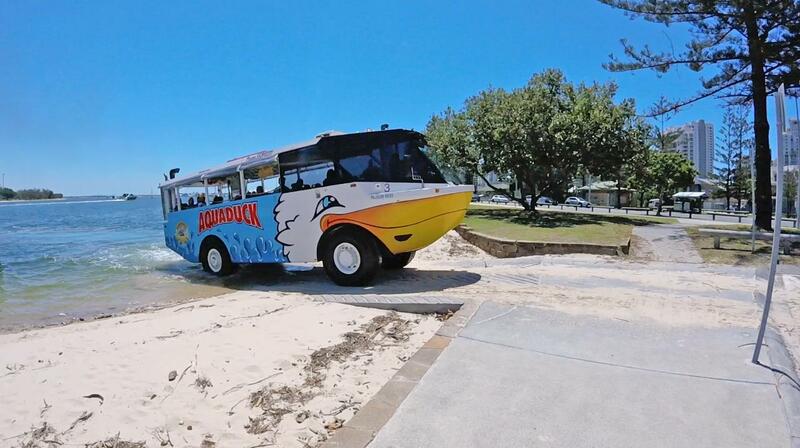 That's where our Aquaduck gets to show it’s true colours with a bit of “duck diving” into the spectacular Broadwater. Experience the thrill of the big splash! Cruise along and take in the sights of the beautiful waterways and of course the fabulous millionaires row. 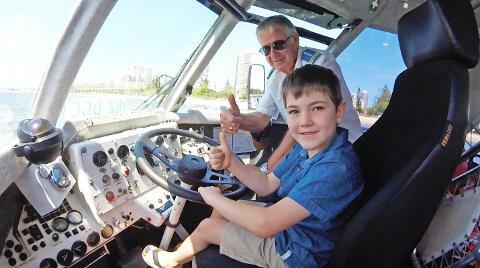 Kids get the unique experience to Captain the Aquaduck while cruising the waterways.They will receive their free Official Aquaduck licence Certificate.